The weather is warming up little-by-little. So when I can, I’ve been going outside and doing a little work to clean up our garden. I’ve even started moving some plants and garden decor back outside where they’re, hopefully, safe from the winter chill for another year. My husband started some pepper and tomato seeds for planting and they’re beginning to sprout. Slowly but surely, it’s beginning to look a lot more like spring and a lot less like winter around here. I had a bunch of garden markers from previous years outside in some of my pots and containers, but between weather and wear and tear, it was time to get rid of some. 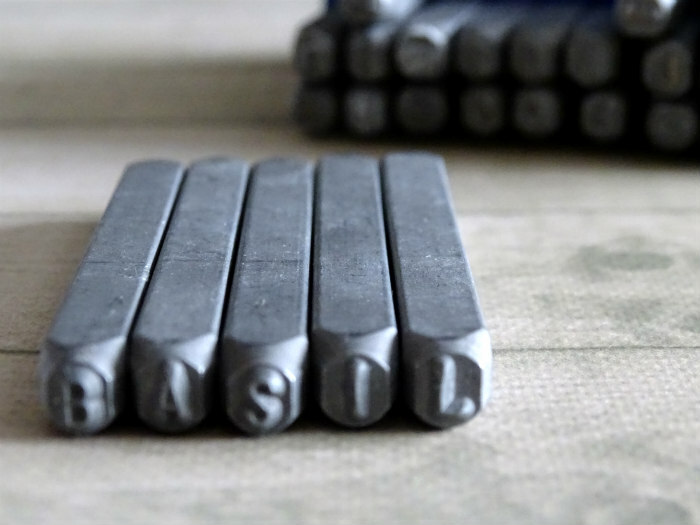 So I decided to use my air dry clay and metal stamping set to create some new, stamped garden markers. Since this week’s Maker’s Mix-Up theme is SPRING, and spring officially begins this weekend, I thought this DIY would be perfect to share! Roll a chunk of clay into a ball. Then, flatten it into a thin, round disk. 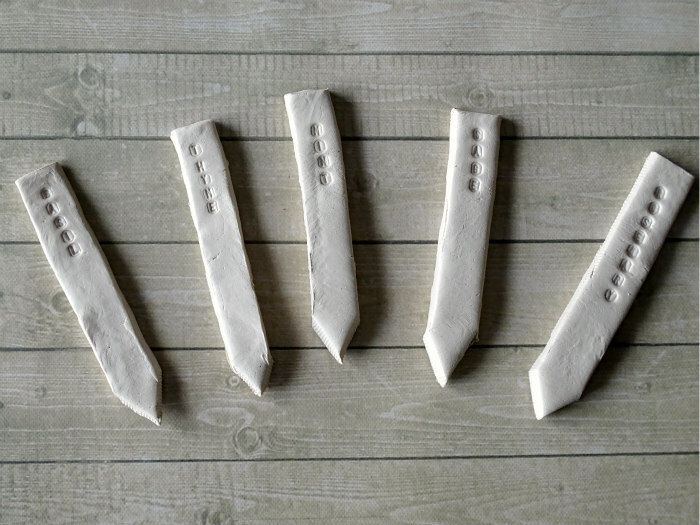 Use clay modeling tools (or a plastic knife) to cut the clay into strips about 5 inches long and 1 inch wide. Cut the bottom of the strip into a point. 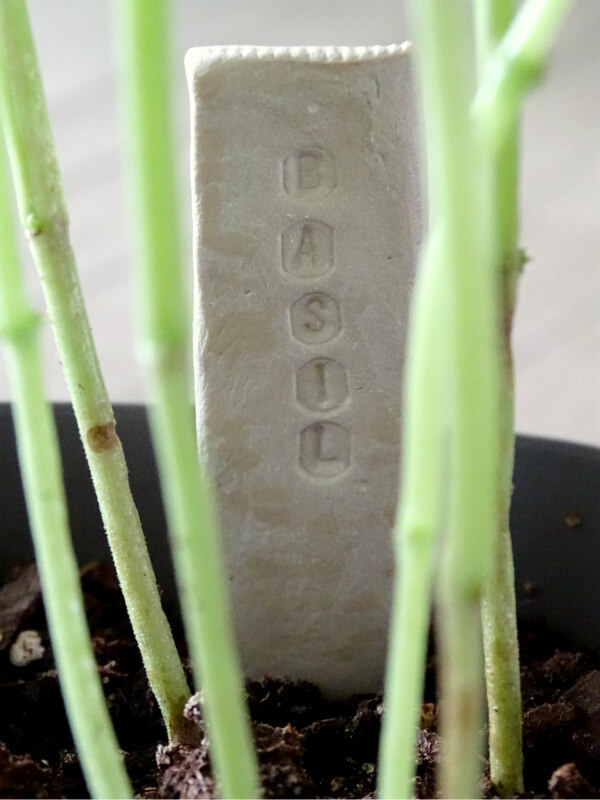 Next, use an alphabet stamping kit to stamp the names of your herbs, vegetables, or other plant into the garden marker. Allow air dry clay to dry completely. 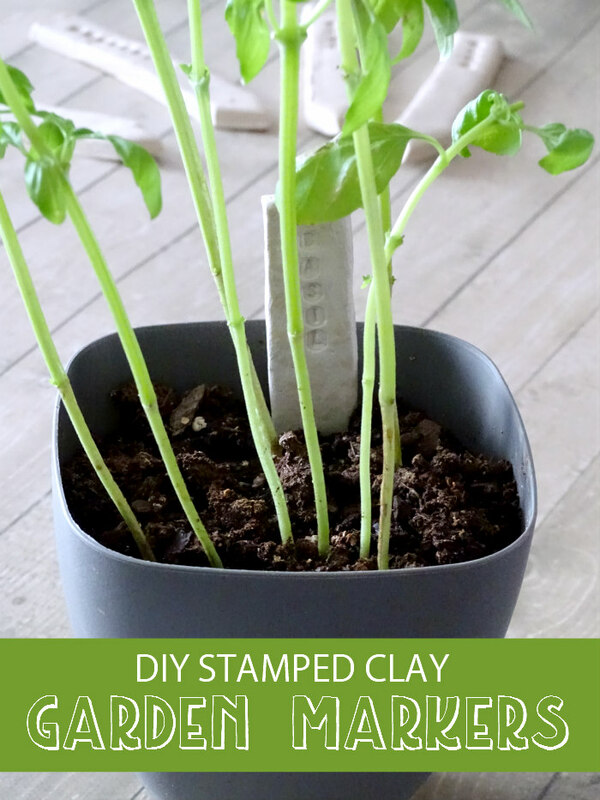 Then place clay garden markers in your garden. Get all of the supplies to make this project on Darby Smart. Save 25% with code dxpeks25 at checkout on this project and all of my Darby Smart projects. Discount is valid until 3/21/16. Happy St. Patrick’s Day! Last week, we linked up IRISH recipes and crafts. Come link up your favorite SPRING recipe or DIY project this week with Ashley and me. Here’s what you missed!